This day started late, as storms fired in the mid to late afternoon. 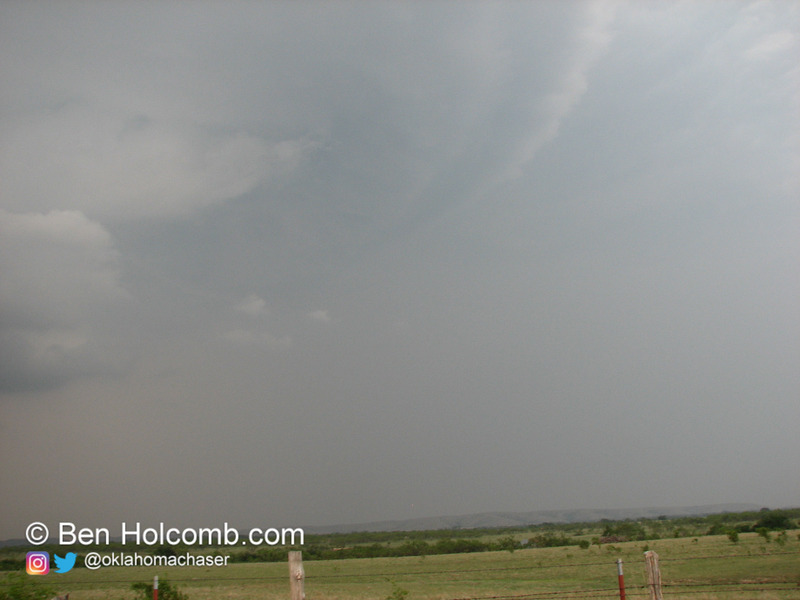 I got off work around 4 pm and headed down to Chickasha then west hoping to intercept the cell near Hobart. The hail falling from it was huge, with reports of 3.5″ hail coming in, so I went way around the storm instead of core punching it. I shot west out of Chickasha to Anadarko and then south on US 281. I found a dirt road that went all the way through to SH-58. I thought I could beat the hail ahead of the storm, and mostly did, just finding a few small pieces of hail falling in the last 2 miles before SH-58. 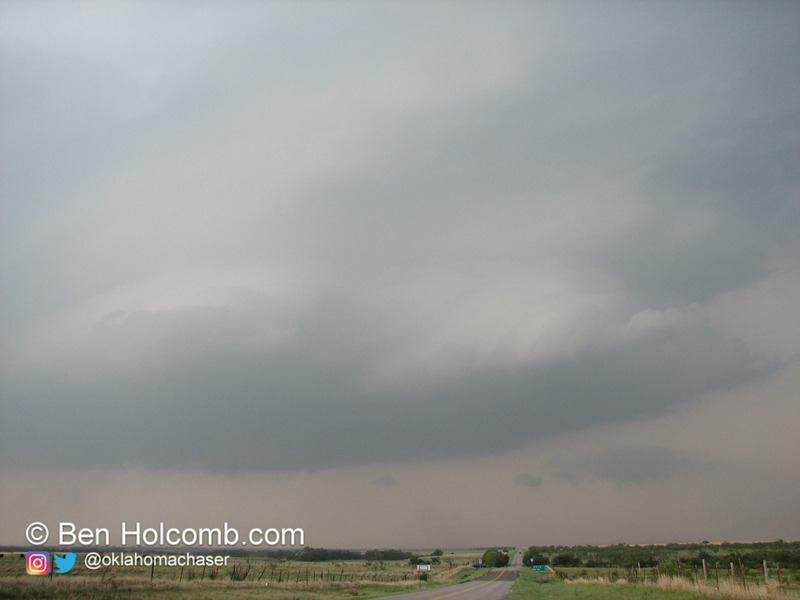 I shot south on SH-58 with hail falling, and then west on SH-19 to SH-115 where I setup shop for awhile. 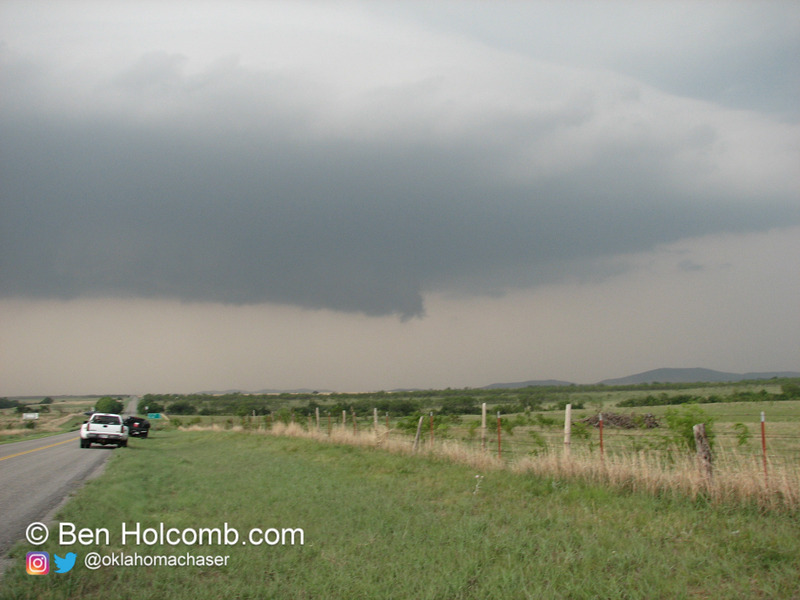 The storm seemingly was getting it’s act together, putting down a decent wall cloud. 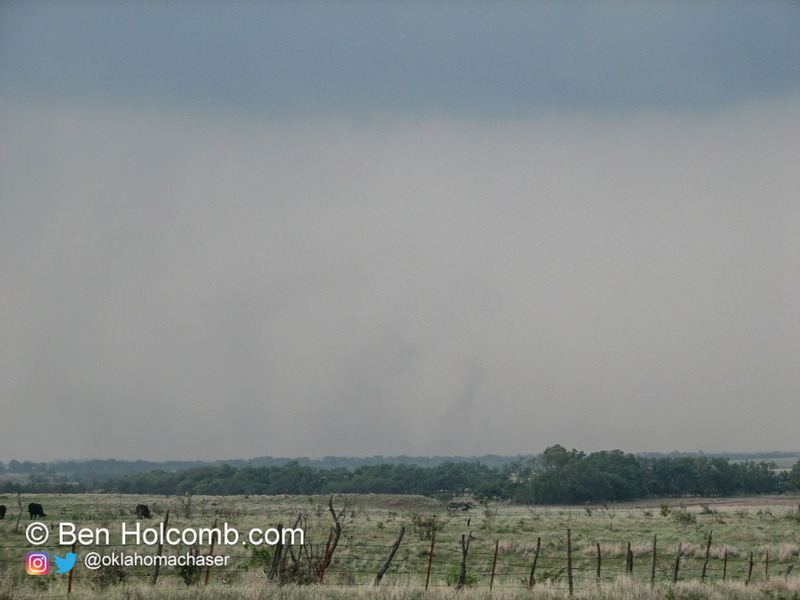 I also observed what appeared to be a gustnado which was persistent for a couple of minutes to my north. The storm eventually dropped a funnel and looked like it might get it’s act together before falling apart. I decided to head down SH-115 and witnessed some amazing structure on this storm before heading down to Meers. I took the east paved road out of Meers to US 62. 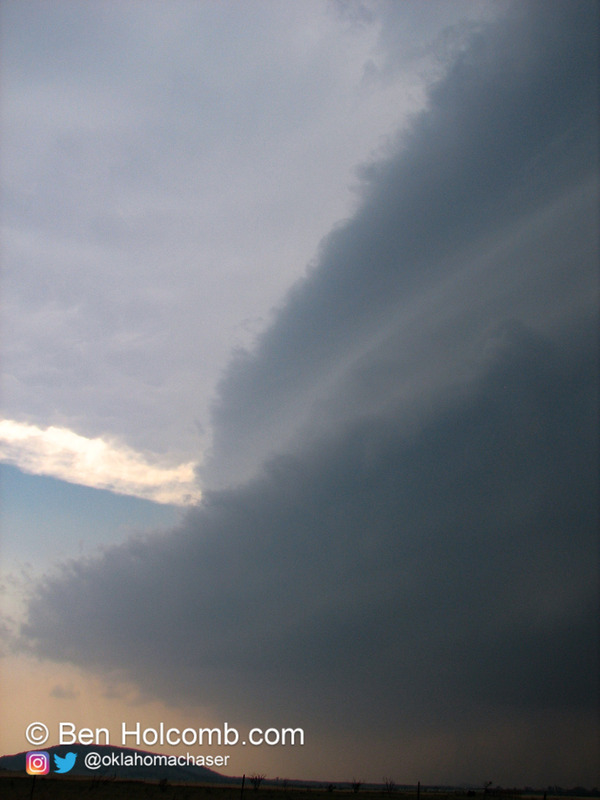 I observed again a wall cloud on the storm, but it seemed quite removed from the actual updraft of the storm. I stopped for gas at US-62, and the storm pretty much evaporated while I was filling up and getting a Gatorade. 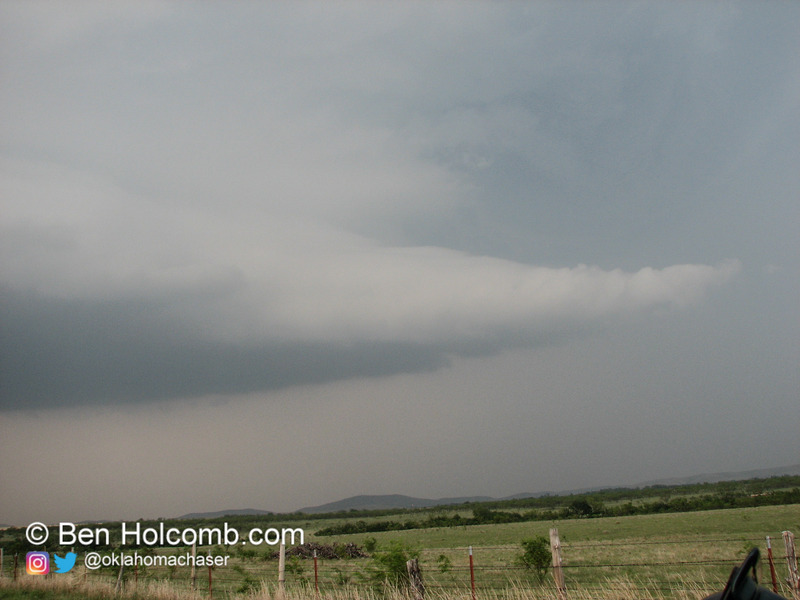 All in all, great structure, but it would have been nice if the storm had produced!